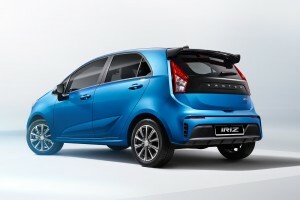 Following leaked photos on the internet, Proton has released its official photos of the Proton Iriz facelift. The brand’s B-segment hatchback is set for a launch later this year, possibly in the next few months judging from the spy shots. 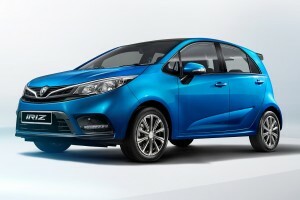 With the coming launch, the Iriz will represent Proton’s first local model to receive a facelift since the entry of Geely as a partner. 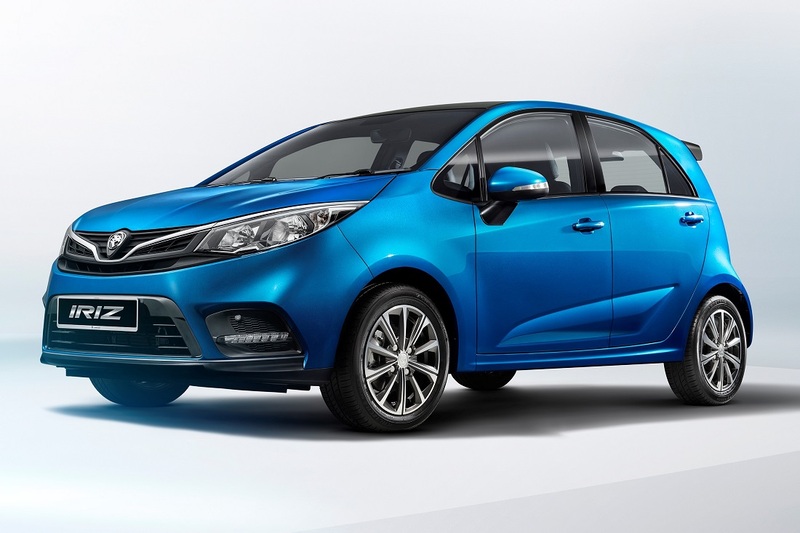 The front of the new Iriz features new slim headlights that are integrated with a prominent grille garnish, which in turn has a shape inspired by the “Ethereal Bow” that made its debut on the Proton X70. The radiator grille meanwhile, features the “Infinite Weave” pattern sculpted into its design and is topped by a trademark Proton logo. 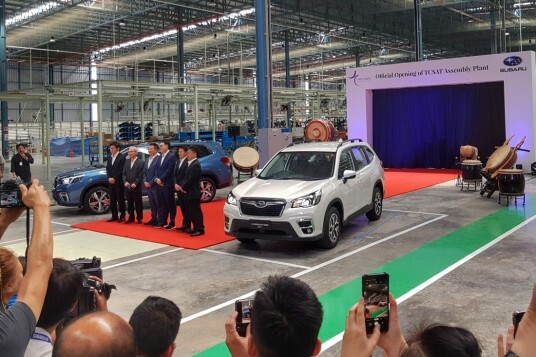 This pattern is also can be traced to the X70 as well as the Proton Tuah concept. These design elements look set to dress all upcoming Proton models. The front bumper has been redesigned with a new lower radiator grille shape as well as sleek LED daytime running lights. The rear of the Iriz also gets the new corporate identity feature of the Proton name spelled out on the tailgate garnish; it used to be just the logo. The new identifier creates a visual impact of a wider car, an impression reinforced by the new rear bumper. 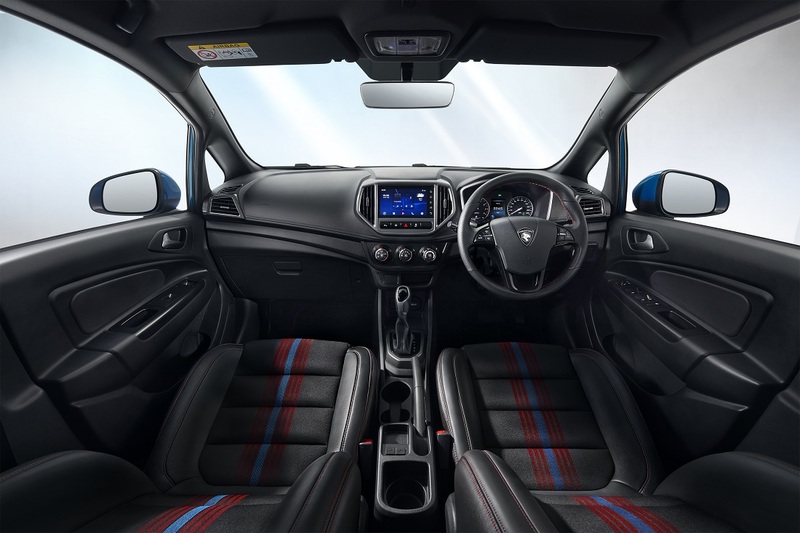 Vertical garnish inserts framing a new bumper stripe are the bumper’s most prominent features, lending the rear of the Iriz a more stable and sporty stance whilst adding character. Like the front, the new rear bumper integrates seamlessly with the overall proportions. Those who remember the Proton EMAS concept will recognise the similarities of the blacked out section of the tailgate. A shark fin antenna and new rotor blade design alloy wheels complete the sporty-style appearance. The Iriz facelift will come with a colour touchscreen, developed by Proton and ECARX and offers connectivity options as well as voice command functions. This will be the first time a B-segment hatchback from a national car maker with such features. More information on the infotainment system and the mechanical specification of the Proton Iriz will be released closer to the launch date. We think the powertrain will remain although there could be revisions and updates either mechanically or electronically. 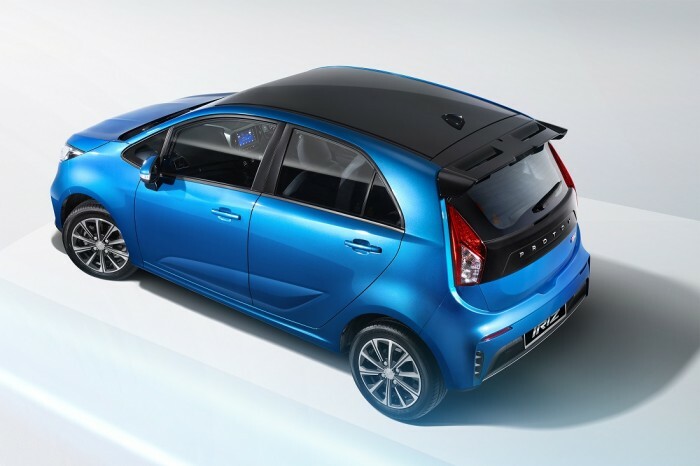 The current Iriz has already been improved over the previous one in terms of power delivery and refinement. The current Iriz is also available with manual transmission which makes it one of the best value (and underrated) hatchbacks in the market. Proton aims to launch at least one new model a year. So what’s next?